A man is in Samoa Police custody after being arrested and charged with giving false information in relation to an alleged attempt to abduct two girls last week. 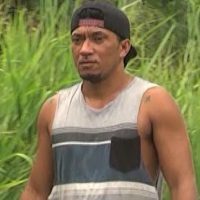 Samoa Observer reports that Police Superintendent Soloi Iosefo Tuimaunei had confirmed that Liua Va’asili Savai’inaea was arrested Tuesday evening. Police last week warned the public of people allegedly going around in a van trying to kidnap young children. This was apparently based on information posted by Savai’inaea on social media alleging he had foiled an attempt by two men and a woman to force two young girls into a white 15 seater Toyota van. To date though Police have not been able to identify the two girls, let alone confirm the incident actually happened. Police have also issued a statement cautioning about the number of false and misleading information being shared and circulated on social media.